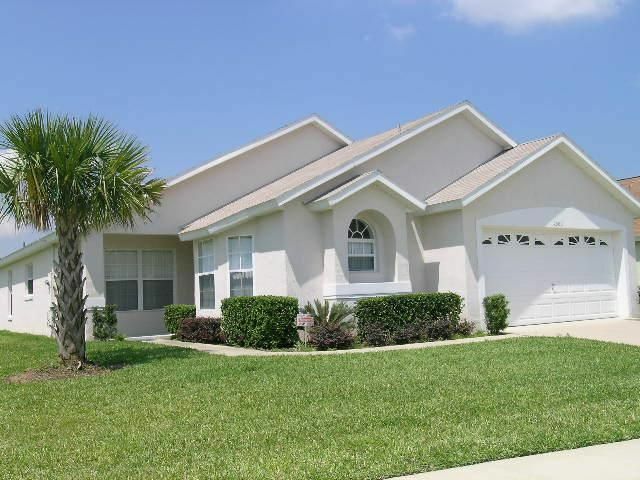 Located off Highway 192, five minutes west of Interstate 4, The Shire can be found in the quiet friendly neighborhood of Indian Creek, only four miles away from the Disney properties. The neighborhood has a variety of playgrounds for vacationing visitors to enjoy, such as, a soccer field, baseball diamond, basketball and tennis courts, walking/jogging path, putting green and a play area with a slide for the children. Fancy something to eat? Take your pick from many of the restaurants and stores like the Outback Steak House, Red Lobster, , T.G.I Fridays, McDonalds, Subway, Winn-Dixie Food Store, Walgreen’s Drug Store and many more, are all located within a mile or two on highway 192 and Formosa Gardens Blvd. The entrance to Walt Disney World is five minutes away. So close, that the firework display from Epcot can be seen from the driveway. Market Street at Celebration, Old Town Shopping, Downtown Disney’s Pleasure Island, Downtown Disney’s West Side, Universal City Walk, are all within twenty minutes of Indian Creek. The Shire is the perfect home away from home, with four bedrooms, three bathrooms, a fully equipped kitchen and an adjoining formal dining room. 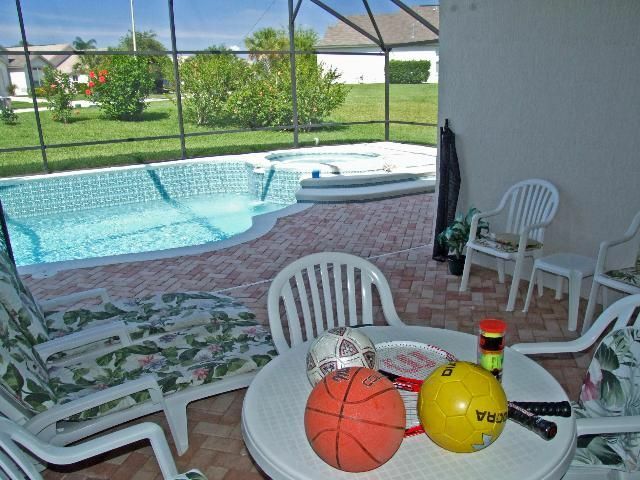 The spacious living room leads into the covered lanai with an enclosed south facing pool and huge spa. The living room is tastefully furnished and includes TV, VCR/DVD players, and a stereo system. The large sliding glass door will lead you to a fully enclosed 26 foot pool plus an 8 foot lounger spa which doubles as a two foot deep shallow pool for small children. The south facing pool and spa means visitors will experience maximum Florida sunshine by day and a peacefully tranquil sunset before night. Additional features of The Shire include a King Master Suite with television, VCR/DVD players, a large bathroom with a heart shaped tub and a separate oversized shower; a second Master Bedroom with a queen-size bed, television, VCR/DVD player, its own private bathroom with tub/shower combination. The third bedroom has two full sized beds overlooking the pool and the fourth has two full sized beds , they share a full bathroom. Also, for your convenience, the villa provides a large capacity washer and dryer in the attached two-car garage. "We have stayed on Disney properties before, and in hotels when visiting Disney World, but by far, staying in The Shire, has been one of the best vacations ever. The home is beautiful and luxurious. We were pampered and spoiled, and will never stay in another hotel when visiting Disney. It was all the comforts of home, plus so much more. We are planning another trip in Oct. of 2010 and plan to stay in a different house, because there will be more of us coming this time. It is definitely the way to take a vacation! It is both economical and wonderful at the same time! ". "the home owners make you feel like a true guest with there guest book and comments on welcoming you.this home was truly great, the pics on the web site don't do it justice. The pool and spa were the biggest hit with the family including our 8 month old grandson. It was great to start the day with a swim and come back from the hot theme parks for a relaxing cool nighttime swim. The bedrooms are situated away from each other so you have complete quiet and privacy. We shared the house with our daughter & son-in-law and new grandson and our 15 yr. old daughter so everyone had their own bathroom and bedroom . I would highly recommend anyone wanting a large house with plenty of room to roam around to rent this one The airport was about 30 minutes away with traffic. The theme parks under 30 minutes away. Another thing we like about the location of this house is that it's off the main tourist strip and totally quiet. We will never stay at a hotel again. 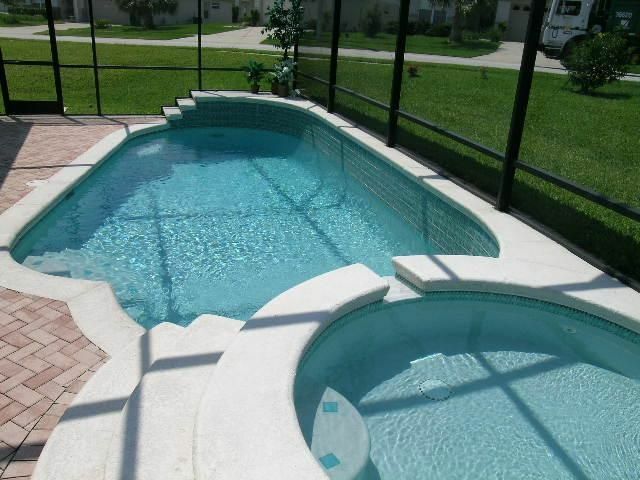 Renting houses with your own personal pool is the only way to go!". Have you stayed in The Shire? If you have visited in and stayed in The Shire please provide us with comments on your experience. For security reasons, only your name and comment will be posted.